Let your kid get up close and personal with nature with Plan Toys Caterpillar Telescope and Leaf Magnifier. With these cleverly designed tools, kids can scope out spiders, toads, dandelions, blades of grass and more — and all larger than lifesize. Send her on a DIY scavenger hunt in the backyard or take the toys on your next family hike. 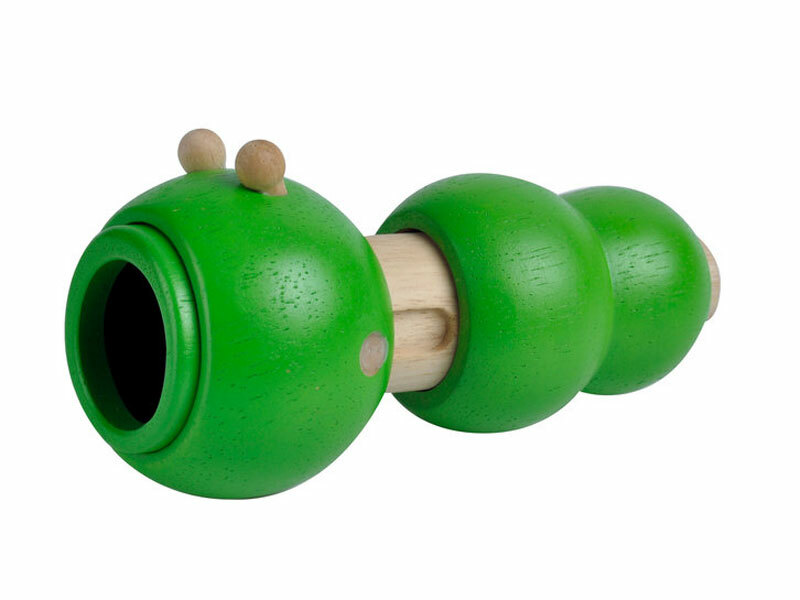 Like all Plan Toys, this telescope and magnifier are made from eco-friendly rubberwood and colored with non-toxic finishes. Safe and sustainable for exploring the planet! Let your kid get up close and personal with nature with Plan Toys Caterpillar Telescope and Leaf Magnifier. With these cleverly designed tools, kids can scope out spiders, toads, dandelions, blades of grass and more -- and all larger than lifesize. Send her on a DIY scavenger hunt in the backyard or take the toys on your next family hike. Like all Plan Toys, this telescope and magnifier are made from eco-friendly rubberwood and colored with non-toxic finishes. Safe and sustainable for exploring the planet!